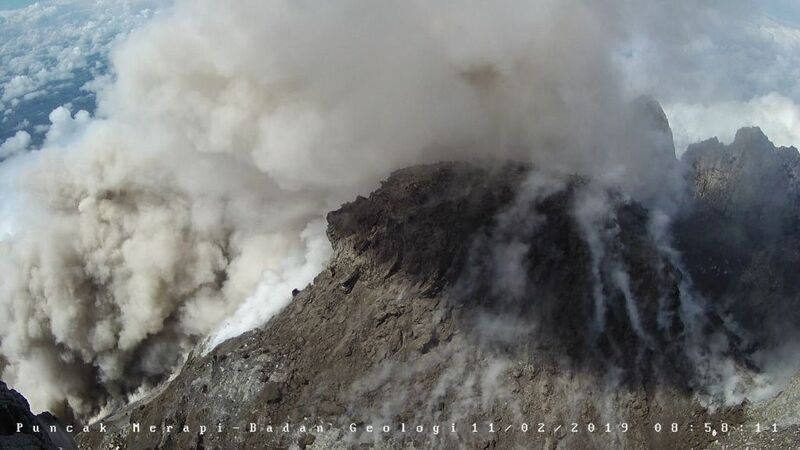 A pyroclastic flow hurtled down the slopes of Merapi volcano over a distance of 400 meters on February 11, 2019 at 8:58 WIB local time. 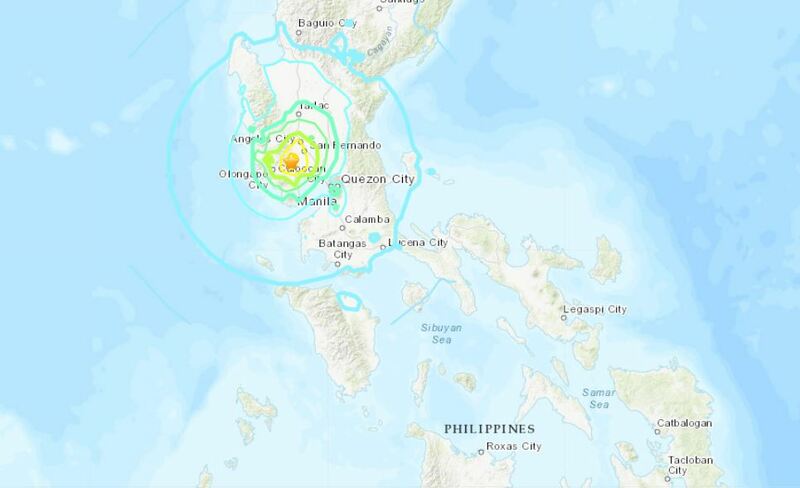 On February 10, 2019, the PVMBG reported 40 avalanche earthquakes, 5 strong blast events, 5 hybrid earthquakes, 3 low frequency earthquakes and a shallow volcanic earthquake. 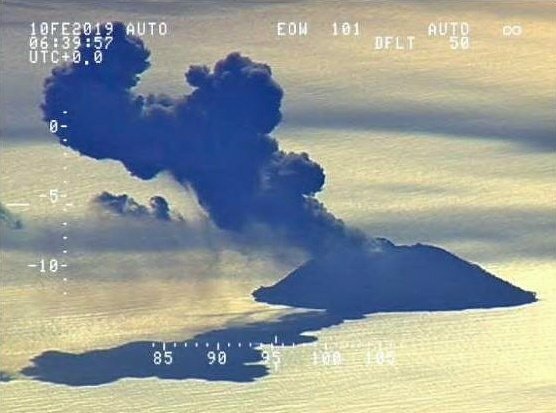 In Papua New Guinea, the Kadovar volcano erupted on February 10, 2019 at 6:40 UTC. 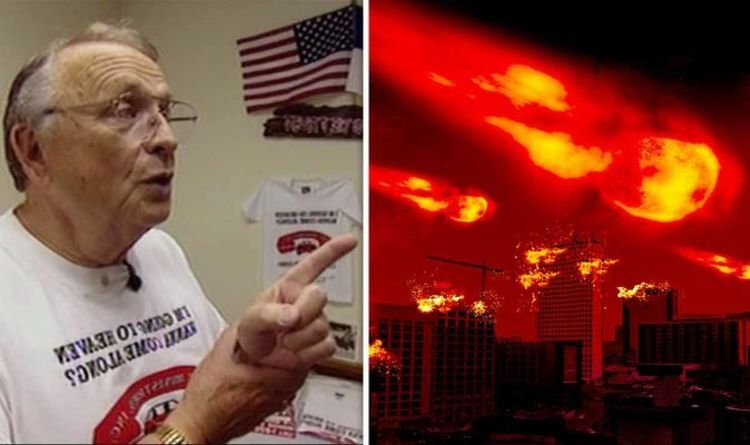 The resulting plume of ash rising in the sky was spotted by air force New Zealand. The previous ash eruption took place on January 18, 2019. 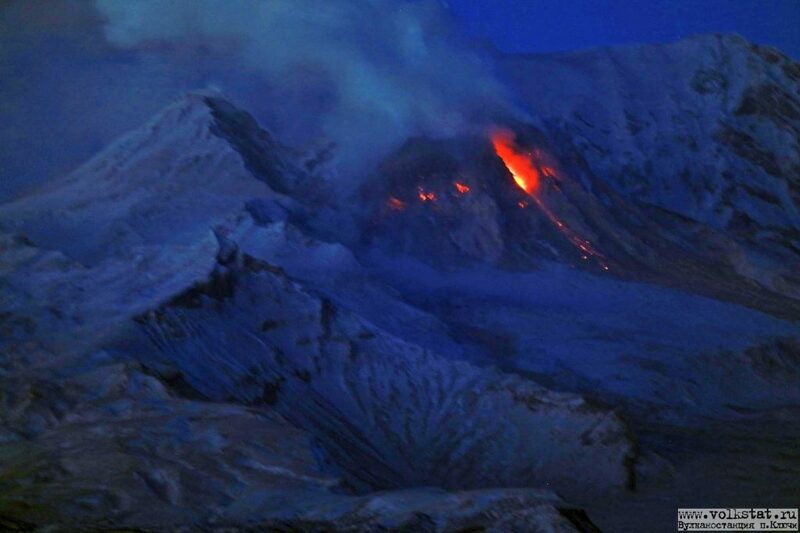 In Kamchatka, the Shiveluch volcano continues its explosive-extrusive activity. On February 10, 2019, the volcano ejected a plume of gas and steam rising up to 4,000 meters above the summit and then drifting for 26 km to the northeast. 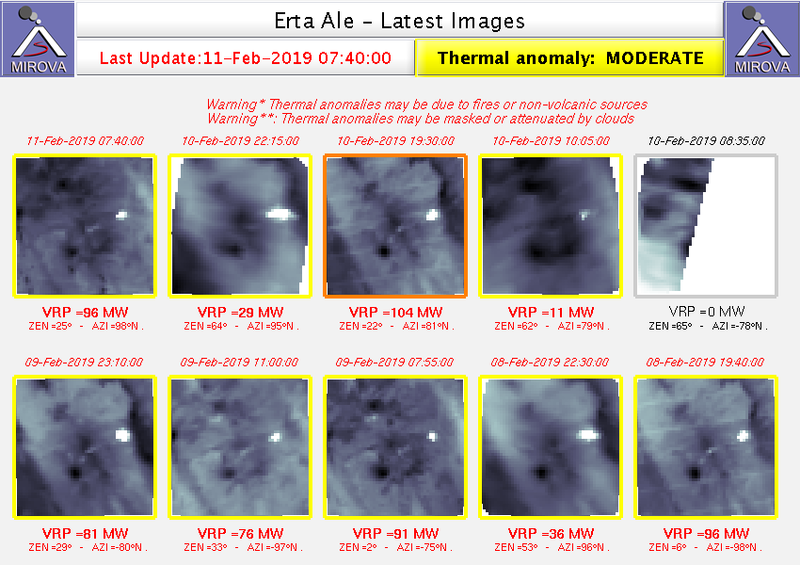 A thermal anomaly was recorded by Mirova from February 8 to February 11.